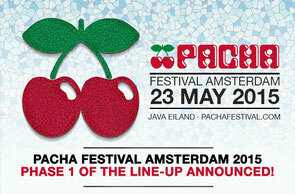 On Saturday 23 May 2015, the fourth edition of the Pacha Festival returns to the heart of Amsterdam, Holland, revamped into a mini Balearic event. The event promises a day filled with the latest dance music accompanied by entertainment for like-minded souls. The event will be built containing three stages, the first and foremost being ‘Pure Pacha’, or main-stage. There will also be an ‘Insane’ tent and a brand new atmospheric open air stage. There are only a limited amount of Early Bird Tickets available at €47,50. Regular Tickets will be sold at €52,50. A VIP Ticket offers exclusive extras and a view overlooking main stage at the VIP deck. Look out too for the ‘Las Dalias’ inspired Hippie Market, where visitors can indulge in a variety and range of stalls and stands, allowing you to purchase your favourite ‘White Island’ accessories. 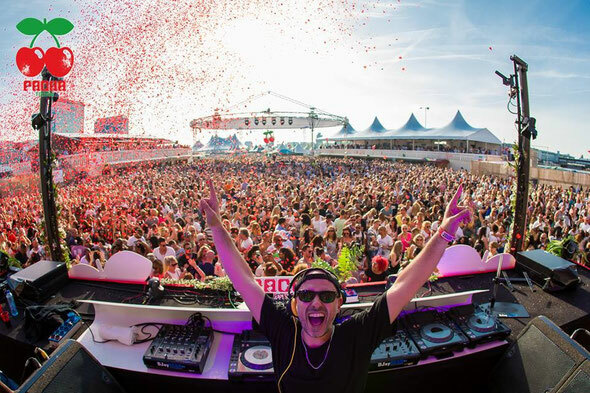 DJs confirmed to play include Amine Edge & Dance, Benny Rodrigues, Cassy b2b Yousef, Cinnaman, Dennis Ferrer, Dosem, Franky Rizardo, Mark Farina, MK, Monika Kruse, Prunk, Riva Starr, Roger Sanchez aka S-man b2b Bontan, Sander Kleinenberg ft Audio Bullys, Sneak and Technasia b2b Uner, with more to be announced. Check pachafestival.com for more info.